Ryan Ross, Warrenton, Virginia Native, moved to the Pacific Northwest four years ago from Brooklyn, NY. Ryan has been in the realm of bespoke dining and food–centric events for the last 10 years. She grew up in her Mother’s organic healthfood store, The Natural Marketplace, in Warrenton, VA., and attended the Natural Gourmet Institute of NYC, as well as the Institute for Integrative Nutrition. Ryan is also a certified Holistic Health Practitioner by the American Association of Drugless Practitioners. 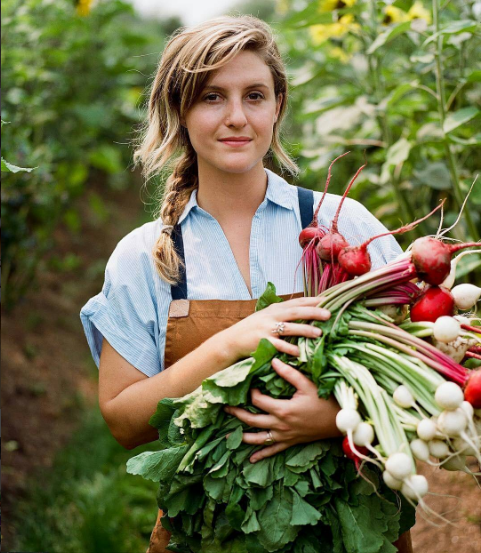 Health supportive, festive, organic, sustainable, foraged and local food is her world! Ryan currently shares time in Bow, WA. , Northern, VA. and overseas with her husband. She is a recipe writer, product developer and has consulted for plant-based restaurants in Washington state, New York City, on Little Corn Island, Nicaragua, Munich, Germany and Paris, France. She is a recent partner and chef for The Good Moon Farm and Food Lab in Tortola, BVI where she will spend 6 months every year creating bespoke dining experiences and plant -based products and provisions. The other 6 months of the year, you might just find her throwing a dinner party for 40 guests in the farmlands of Skagit Valley with her roaming dinner club Supper Corps, and creating a homebase and kitchen in her hometown of Warrenton, VA!